Ever since Mazda pulled the plug on the RX-8 in 2012, reports have been circulating about a new rotary sports car that was supposed to have been launched by now. However, with the stricter emissions rules that have already affected plenty of vehicles, such a model could turn out to be mission impossible for the Japanese automaker. The brand’s chief of Powertrain Developments, Ichiro Hirose, told journalists at the 2018 LA Auto Show that a new RX-8/RX-9 is his personal dream, according to CarAdvice. But the thing is that it could remain just a dream, for now at least. Despite facing some tough challenges when it comes to the development of the actual rotary powertrain, Mazda is not ready to give up on it just yet. Making a new rotary sports car is not impossible, in Ichiro Hirose’s vision, but it all comes down to funding, as getting the necessary investment requires customers to “purchase [other] Mazda vehicles”. And in the end, the new RX-8/RX-9 needs to make a viable business case on its own. In conclusion, the Mazda official admitted that they haven’t started working on a new rotary sports car yet. 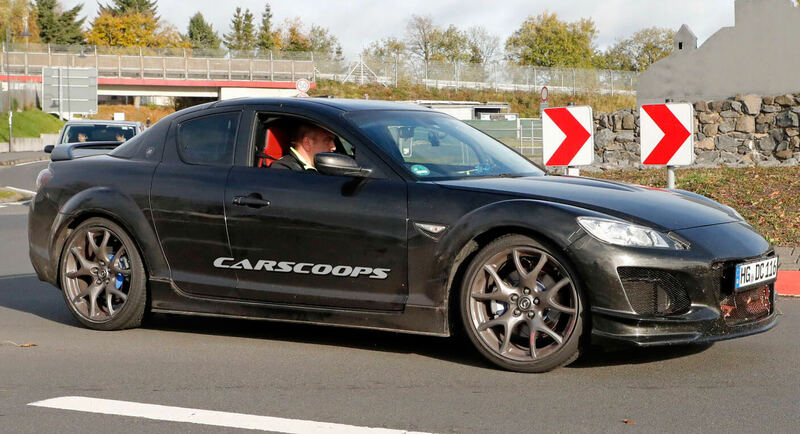 But if they haven’t, then what was that mysterious mule spied testing near the Nurburgring last year?